Belly Dance Classes, Performances, Costumes, and more. This year, you will get the chance to learn from not one but two international keynote teachers at our 2018 retreat... the stunning, talented and knowledgeable: HELENE OF NORWAY and JRISI JUSAKOS OF AUSTRALIA. Helene of Norway is one of the leading bellydancers and oriental choreographers in Norway. She is also creator of the group Divas of Bellydance. Helene runs Studio Orient, the largest oriental dance studio in Norway and organizes the semi-annual Oslo Oriental Dance Festival. She is currently one of the most famous dancers in Norway and has made appearances on the first season of the Norwegian So You Think You Can Dance, as well as the Norwegian "Dancing with the stars" (Skal Vi Danse). She has previously worked as a dancer in Turkey and has 20 years experience as a dance instructor and 18 years experience in oriental dance. Helene works with several other dancers and musicians and is the first oriental dancer in Norway to have worked with musicians to develop two oriental music albums, "Helene's raks sharki" and "Helenes raks sharki vol 2" by Mustapha Dahir Orchestra. She also has an instructional DVD, "Magedans med Helene". Event producer, choreographer, performer and teacher, Jrisi Jusakos has her creative fingers in every pie. 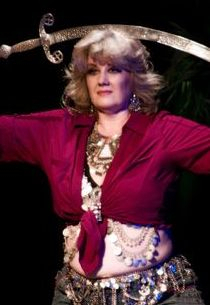 An award winning performer, Jrisi is one of the only Bellydance artists with a Bachelor of Arts degree in Dance and has been the recipient of the Australia Council for the Arts dance grant in 2002. She has taken part in Contemporary dance residencies and fellowships working with leading Contemporary choreographers and is considered one of Australia's leading dance artists within the Belly Dance community. She has travelled the world pursuing her passion for dance which has seen her train extensively in New York, Egypt, Lebanon and Germany as wells as teaching in Japan and Singapore. She has also released a series of Bellydance Instructional DVD's which have sold world wide and is currently a guest lecturer at the Australian College of Physical Education. She is also an accomplished producer and international sponsor who has brought one of Australia's biggest International events to life, Bellydance Evolution in Oz both in 2014 and 2019. We hosted Journey Through Egypt - The 2017 Special Edition for our 7th Anniversary of the Phoenix Belly Dance Retreat! Journey Through Egypt 1 is a 20 hour intensive course produced by Dance Ethnologist and International belly dance icon, Sahra Saeeda, on the movement, steps, posture, clothing, history, and cultural diffusion in the different regions of Egypt. Sahra’s unique perspective follows how the dance transforms from the homes of the people to the sparkling stages of Cairo and beyond. The course also covers many of the rites and rituals that can be found throughout Egypt, such as zeffah, zars, and moulids, and some of these will be re-enacted by participants. The course is taught by Sahra Saeeda (Sahra C. Kent), a teacher, performer, and dance ethnologist of Middle Eastern dance with over 30 years of experience. She returns each year to Egypt to continue her research and to teach. Our Retreat in 2016 hosted the incredible Anasma of France! A spectacular fusion artist of international repute. Anasma is a versatile and complete artist: dancer, choreographer, Oriental Fusion master teacher, Yoga Teacher, singer, song writer, artistic director and producer. Drawing from her cross-training in academic, ethnic & urban dances, acting, pantomime, yoga, martial arts…, Anasma focuses on making dance meaningful and touching through storytelling, character development, truthful emotions and aesthetic powerful movement. She is recognized by her peers for her wild creativity, great expressiveness, constant risk taking and pushing the envelope. Thank you so much to everyone who came along for the Retreat and the Advanced Dancer Experience! Hadia has completely blown our minds with her knowledge and insight into how to dance in a way that not only doesn't hurt, but actually heals us too. We had so much fun and learning and entertainment that I think we all need a weekend to recover! 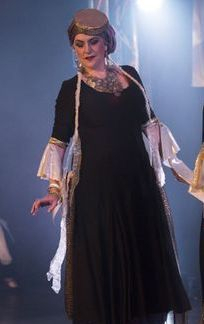 Hadia has lived and performed through the Middle East and has studied and worked with many of the great masters of oriental dance and Folklore including Ibrahim Akef, Farideh Fahmy, Zohari Zeki, Mona al Said, Dina, Fif Abdo, Ibrahim Farrah, Ahmad Jarjour, Raqia Haasan, and the Kohwmeya National Folkloric Company of Egypt. 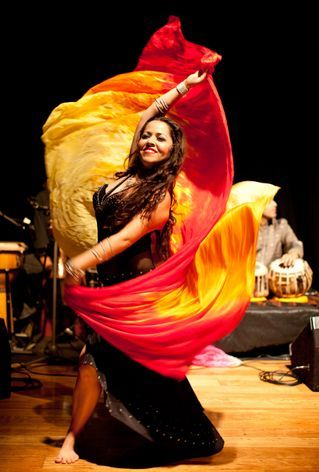 Her understanding and mastery of the very soul of Raks Sharqi and her innate ability to weave the subtle nuances and textures of oriental music into movement have earned her an international reputation as an exquisite performer of impeccable quality. Her ingenious teaching skills draw upon her multi-faceted 40-year career as an artist of Middle Eastern, Flamenco, Jazz, African/Afro-Brazilian, Polynesian and Salsa, as well as her 20 years as a registered practitioner and instructor of massage/manual therapy. She skilfully applies her extensive knowledge of anatomy and kinesiology to create thorough, clear and disciplined breakdowns of all techniques. Her understanding of the peoples and cultures of the Middle East is reflected in her attentive application of oriental rhythms, instruments and phrasing, as well as her ability to encourage emotional and artistic expression. She has a fullness and depth to her teaching that embodies her deep love and respect for our art form as it challenges, inspires and accommodates all levels of students – novice to professional. Dedicated to educating dancers, all that she knows she willingly shares. Margaret-Mary Hollins has been active in the performing arts industry for 30 years. She is an experienced actor, director, tutor, producer, theatre arts manager and currently the Artistic Director of TAPAC. After training in Australia and the UK Margaret-Mary worked and toured as an actor with ‘Shakespeare Where You Like It’ in Sydney & NSW. Following on, she furthered her training with Ecole Philippe Gaulier and City & Guilds of London Advanced Drama and performed as a freelance actor for 25 years. In 2001 she turned to directing. Margaret-Mary has directed for the Silo Theatre, Auckland Theatre Company, Co. Theatre Physical, House of Hudson and numerous independent productions. Margaret-Mary actively initiates programmes and new works with emerging and established artists and the community. She is passionate about developing new works and providing the industry with support and a platform in which to creatively explore, create, present and fly. 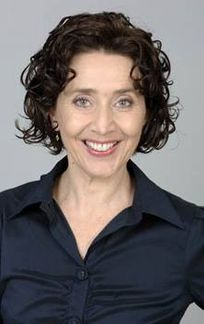 Margaret-Mary continues to teach workshops for Auckland Theatre Company, Massive Theatre Co., Auckland University, Auckland Shakespeare Company, TAPAC and others. Zumarrad (Brigid Kelly) is based in Christchurch, New Zealand. She started studying Middle Eastern dance in 1998 and began teaching in 2002, initially under the tutelage and mentorship of Christchurch's Gendi Tanner. Today she is an independent belly dance teacher, researcher, and performer, offering workshops and private classes, creating occasional events and delving deeper into our rich, intriguing and developing dance form. Brigid graduated MA (Distinction) in Cultural Studies from the University of Canterbury in 2009, having completed New Zealand's first masters-level academic inquiry into belly dancing – Belly dancing in New Zealand: identity, hybridity, transculture. 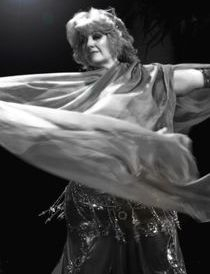 Her thesis paid particular attention to how belly dancing intersected with concepts of a New Zealand identity, and formed the basis of her chapter in Belly Dance Around the World: New Communities, Performance and Identity (McFarland, eds Barbara Sellers-Young and Caitlin E McDonald). Candice Frankland is the founder and director of Phoenix Belly Dance, a multi-award winning dance company and home to some of New Zealand's most sought after performers and teachers. Candice received the Tarazade Festival’s Trained by the Stars Award in Turkey in 2012, was winner of the Bellydance Evolution International Casting Competition 2014 (LA/Sydney) and has been invited back to teach at the Tarazade festival in Istanbul in 2015. It's one of Candice's most closely held beliefs that belly dance has benefits for everyone, both psychological and physical. The multiple layers and genres of belly dancing allow students to explore and find the styles they are most comfortable with, ones which make them feel beautiful and powerful. Jane Steane (Indigo) has taught Ashtanga Vinyasa and Vinyasa Flow yoga for over 15 years. She currently lives and teaches in Whakatane and is a busy mum of two energetic children. During her 20 years’ yoga journey, she has had the great fortune to learn under the direct tutelage of David Swenson, John Scott, Shiva Rea and Shri K. Pattabhi Jois himself. Her desire is to help others find their own flow and find stillness in their busy lives, through connecting with their breath and learning to let go of any expectations or judgment. 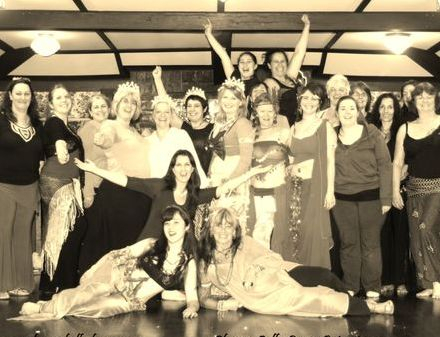 Jane is a fellow dancer and also started teaching bellydance 5 years ago. After selling out for the second year in a row, the 2014 retreat was an absolute blast, featuring two international guest teachers and some of the highest quality dancers NZ has to offer. Our keynote international teacher was none other than Aziza! Aziza is one of the brightest, most in-demand stars of bellydance in the world today, recognized across the globe for her unparalleled ability to express the unique synergy of movement and sound that is the hallmark of this ancient art form. Her innate musicality, effortless creativity and lifelong training allow Aziza to fully inhabit the dance, simultaneously capturing a range of emotion and intensity of expressive movement - subtle yet intense, fluid yet strong, poetic and powerful. Aziza is of the rare and gifted breed of performer whose styling is instantly recognizable, yet always evolving and new. Aziza’s exquisite and undeniable mastery of the stage is matched by her skill in the seminar classroom. An intuitive, concise and generous instructor, Aziza excels at inspiring dancers to reach the next level. Promoters and students alike appreciate her ability to present well-organized, relevant and useful material that is accessible and challenging to all levels of dancers from beginner to professional. A lifelong student herself, she continually seeks inspiration as she travels the world, discovering new and revisiting familiar movement forms, always presenting material that is fresh and exciting. To study with Aziza is to be moved by her genuine devotion to her beloved art and to each and every dancer that comes to learn with her. Due to popular demand, Julie Anterrieu, dancer, teacher and choreographer with a lifetime of experience will be joining our Retreat Teaching team again this year! Whilst her technical knowledge of dance training and strengthening is impressive spanning her studies in France, New York and NZ, it can't hold a candle to the variety of dance styles she's studied. Julie has had training in Contemporary, Modern, Jazz, Chair Dancing, Burlesque, French Cancan, Broadway Jazz, Charleston, and Aerial Arts. That's just the dancing; Julie also has training and certifications BodiBalance™, Horton and anatomy, so in addition to teaching you how to move your body, she also teaches you how to keep it safe! We are very lucky to host another international teacher at the retreat this year!! Bibiana Franco has more than 20 years of dance experience; the last 13 years specialising in belly dance. Having had the opportunity of being trained in South America, Europe and Australia, Bibiana’s work takes a global spin, delivering dynamic and modern productions. Being a Colombian immigrant in Australia, Bibiana brings to her classes her natural Latin flavour and combines it with her impeccable dance technique to deliver fun and up beat classes. During the last 2 years, Bibiana has had the opportunity to work and learn from Master teacher Jillina Carlano and artistes Jrisi Jusakos and Keke Hadjandonis. In Australia, Bibiana had training with artistes, Nayima Hassan and Tereska; as well as furthering her skills in samba, salsa, merengue and zumba. Her belly dance career started in Colombia after years of performing Colombian folk dances. 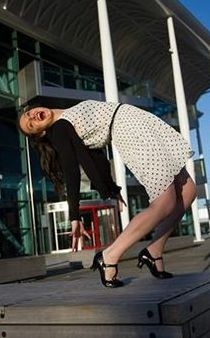 Whilst living in France, Bibiana developed her skills in contemporary and hip-hop dance styles. Bibiana is now the Artistic Director of Belly Dance Adelaide Company and the Principal of Belly Dance Adelaide. Quickly becoming one of the most sought-after costumiers in New Zealand, Tatyana Tania Laptsevich is coming to the retreat this year to show us some costume tricks!! Tatyana Tania Laptsevich has been studying belly dance for about 10 years, starting in Belarus where she is from. She is a teacher and a manager of Aisha Belly dance studio and Bella Arabika performing group, based on the Hibiscus Coast, Auckland. Tania has had the privilege to take classes with Randa Kamel, Tito, Orit Maftsir, Yasmin Elena Grinchik, Sumaya Evgenia Logvina, Alexey Riaboshapka, Elena Ramazanova, Ava Flemming, Karim Nagi, Kaeshi Chai, Sonya, Dariya Mitskevich, Warda Maravilha, Belladonna and others. The biggest inspiration for her is Saida (Argentina), Darya Michkevich (Ukraine) and recently Karim Nagi (Egypt/ USA). Tania's teaching philosophy is to create a multilayered learning atmosphere in whatever you are learning - to belly dance or costume making. As a professional costume designer and maker, she started to manufacture her first belly dance accessories in 2007, mostly hip scarves. Since then she's learned a lot about costuming design, beading techniques and acquired general sewing skills. Crystaliana is her brand of costumes for belly dance in which she have personally designed and made. You can see her work on “Crystaliana” Facebook page. Our last teacher is our very own Candice Frankland!! Many of you are already familiar with Candice's accomplishments. In only four years, she's created an award-winning belly dance company and performance troupe. Under her direction, the Phoenix Troupe has won the 2012 Jambalaya Dance Competition, the 2013 Viva Eclectika Asian Fusion Dance Cup, and performed multiple times at high profile events both locally and overseas. Most recently, Candice won the casting contest for Bellydance Evolution in Oz: Dark Side of the Crown, performing alongside bellydance titans such as Jillina, Kaeshi, and Sharon Kihara. In addition to all that, she's a fantastic teacher too, often going out of her way to provide resources and help for any student who asks. In 2013 we had the biggest and best Retreat yet! With international Superstar, Rose Ottaviano, a beautiful new location and a SOLD OUT event! Drum roll please.... presenting our international teacher at the Retreat this year: Rose Ottaviano from Perth! Rose is one of Australia’s most sought after performers and dance instructors, and has taught internationally in Singapore, Indonesia, Malaysia, in Belly Dance Evolution Korea/Bali, and most recently, where I met Rose, at the Tarazade Festival in Turkey, alongside renowned instructors such as Aziza. With her medical background as a Registered Nurse, and qualifications as a Master Fitness Trainer and Pilates instructor, she ensures safe dance practice and technique! Rose is a magnificent dancer and has an incredible presence on and off stage! 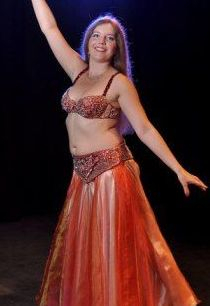 Rose will be teaching two workshops, Rockin' Rhythms, and a big fancy Oriental Veil Choreography. Can I get a 'Yip' for our Tribal Belly Dance Teacher at the Retreat this year... Christine Haviland (aka Iman)!! 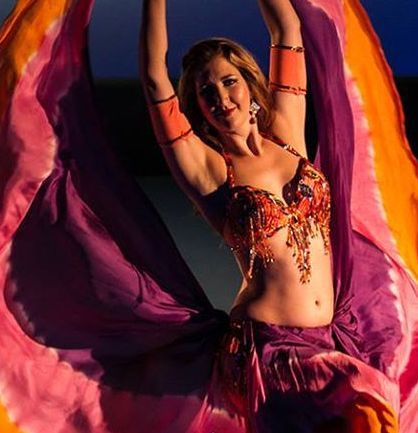 Christine will be teaching us Gypsy Caravan Tribal Belly Dance, a beautiful strong dance style empowering women to dance and share space together, using steps and combinations moving to the rhythms of the Middle East, as well as modern music interpretation. The power is in the group dancing together intuitively knowing what steps will be used to create the dance... The lead dancer sets the mood and pace, the dancers follow, the leader changes as they move so it is organic to the lead dancers choices for that brief time, seeing new leaders throughout the dance. I have known Christine for some time now and worked with her on the BellyQuake fundraiser project - she is the loveliest person and a warm teacher with a great passion for dance and sharing it! YIP!! 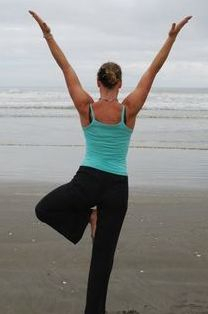 Announcing Suezy Robertson of Cinch Dance who will be teaching at the retreat this year! She will be teaching a workshop called Motion with Emotion. You can do omis, mayas, camels and snake arms but are they conveying the drama in the music? Dance moves can tell many stories with the guidance of the tempo and the head and hands. Come and play with your emotions! For those of you who have met Suezy or been to our previous retreats, you will know that she is a master of conveying emotions while dancing, and I'm personally super excited about this topic!!! Announcing our next teacher for the retreat... can we get a drum roll and a big round of applause for Julie Anterrieu! Julie has had training in all kinds of dance styles, so many that listing them out loud would make your tongue tired. Amazingly, belly dancing is NOT a genre she's dabbled in! Inviting her to teach at a whole weekend dedicated to belly dance may seem odd at first, until you learn that Julie also has training and certifications BodiBalance™, Horton and anatomy. Her background in multiple styles has given her technical training that a lot of belly dancers have never learned, even the most advanced among them. Julie's teachings are capable of letting us dance safely, and exponentially extending the years we can spend dancing through her Technical training for Belly Dancers Workshop. After working closely with Julie for the past few years, I can't praise her enough, she is a huge inspiration for me to improve my knowledge of dance in more ways that I thought possible, and I'm so excited to have her share her experience with all of us! Tanya Bamford King from Tauranga will be teaching us a workshop on Berber Dance, the Imazighen! The culture, dance, jewelry and costume of the Imazighen provide some of the most exotic and poignant images serving as inspiration in the contemporary Belly Dance World. Imazighen are “the free”. They consist of many tribes who originally lived all over the Maghreb. Their history is complex, and at times tragic. It involves subjugation to more wide reaching and powerful cultures as well as being part of triumphant and inspiring movements for freedom. They are not Arabic, but they are an intrinsic part of what inspires us as Belly Dance Artistes. Let’s wander down some of the byways and alleys of Imazighen dance movements and music inspired by various Berber tribes. We will look at some of the movements and movement aesthetics that are common to Imazighen and incorporate them into an easy, fun and beautiful dance flow. We will pay tribute to the grace and beauty of the Imazighen dance and dancers, while acknowledging that we cannot truly plumb the depths of their complex and ancient heritage. Tanya has especially gathered her studies of the Ouled Nail (Naliyat) dancers, Imazighen, and searched for many other sources to create this intrigueing workshop for our Retreat. I personally can't wait! On a completely different track, to show the versatility of this awesome dancer, Tanya will also be teaching a Burlesque Breakout Workshop for a bit of fun and frivolity. Bring your heels for this one ladies! And finally, I (Candice) will be teaching a Drum Solo Choreography Workshop that I learned and have adapted from Didem, the famous Turkish dancer! It is fulll of strutting (ala Didem style), sharp accents and full on shimmies of all shapes and sizes! We had a fantastic time at the 2012 Retreat! With great food, company, and heaps of dancing, we can't wait for next year! - Improvisation Party, and a night of performances by the teachers and guests! For the first time, we are proud to host an international teacher at the retreat! 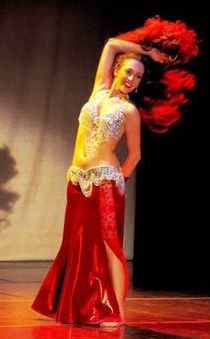 Please welcome Rabiya (Robyn Blackley) of Sydney, winner of the Belly Dance Star Awards during Dina's visit to Sydney in 2010. A graceful, giving performer and an excellent teacher, Rabiya was an amazing keynote dancer for our second belly dance retreat, and we'd be honoured to host her any time. She kickstarted our dancing with two choreography workshops; a classic oriental routine to Ala Rimsh Eyounha and a lively saidi to Luxor Baladna. Next up, we had the marvellous Pip E-Lysaah, a tribal belly dance and yoga geek with a passion for unique and powerful performances. 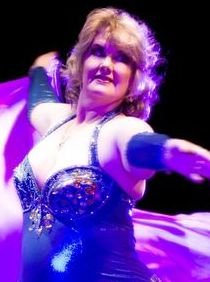 Pip's focus on strong technique and performance skills makes her one of the best belly dance workshop teachers NZ has to offer. This year, she taught finger cymbal technique and musicality, followed with a funky fusion routine to Katy Perry's Hot n Cold. The lovely Shakeelah (Angela Mott) is one of the most knowledgable and experienced classical dancers in the NZ Middle Eastern dance community. Fortunately for us, she loves to share her hard-gained skills with her students. For the 2012 retreat, she gave us a crash course in Arabic Rhythms, an essential for dancers looking to learn more about Middle Eastern dance and music. Shakeelah also broke down the technique and anatomy of dance movement, another important topic to gain insight into our bodies and how to keep them safe. A gorgeous dancer hailing from Greece and Germany, Dallia is a delight whether she's performing or teaching. She has studied Egyptian dance since 1996, and is a fountain of information on folkloric and classical styles (though she also enjoys mixing it up with fusion). The year she's sharing that knowledge with a lecture on the history of belly dance! Last but not least, our own Candice Frankland rounds out the teachers line up, with a double silk veil choreography workshop! Not for the faint of heart, double veil takes all the difficulty of wrangling one veil… and multiplies it. Candice will guide you on how to manipulate your veils so they end up where you want them instead of on your face! Our inaugural retreat! We enjoyed this amazing weekend at Otimai Lodge in Oratia with fun and learning all weekend long. and heaps more surprise activities! Thank you so much to all the lovely ladies who came and celebrated this amazing event with us!